Domain Authority or (DA) is a website score ranging from 0-100 developed by Moz which predicts how well a webpage from a domain will rank in search. Domain Authority or (DA) is a website score ranging from 0-100 developed by Moz which predicts how well a webpage from a domain will rank in search. The higher the DA, the more likely it is to rank higher in Google’s organic search results. An example of DA can be if you create a Wikipedia page about your company; chances are high for Wikipedia page can outrank your companies official site’s home page almost instantly. The only reason one can give for high ranking of a page from Wikipedia over the official website is an authority of Wikipedia over the official domain. As per official Moz version, Domain Authority is a factor of more than 40 elements, but the most important of those factors are part of backlinks to internal pages and the domain. Domain Authority is a logarithmic number ranging from 0-100. It means moving from 10 to 30 is more comfortable than from 40 to 60. 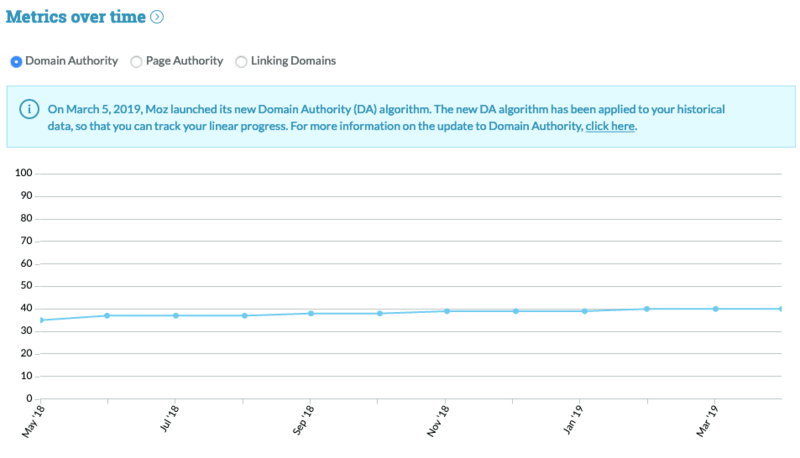 Things get tougher as the domain authority goes high. It is almost impossible to gain a DA of 100 and only sites like Facebook, Google, Twitter may have it. How to check the Domain Authority or DA? Domain Authority is part of Moz SEO online tools including Open Site Explorer. So all you have to do is use them to know any domain’s DA. Over time and as one add more content for the domain, it will naturally garner more links and readers which will eventually increase the domain’s DA. Here is my DA screenshot from 2015. As you can see, the domain authority of IMTips blog has increased from 30 to 40, and it has risen steadily over time as I keep publishing new articles for my readers and they keep coming back to the site. On top of that, the algorithm to calculate the domain’s authority evolves as well. So that can change the DA as well. How To Improve your Blog’s DA? Wow, so now I am answering a question where I have never worked towards it. Still, I will share the process I have been following for my blog to increase the domain’s authority over time. Again these aren’t tips to be worked on but the overall process for any blog to keep moving up the DA ladder. WordPress out of the box is quite good at SEO, but there is a lot that can be improved. Tweaks like adding better url structure for blogs posts, having breadcrumb for posts, optimizing images for faster loading over the web, SEO friendly design (I prefer Genesis for all my blogs), Integration of Yoast SEO Plugin, Rich Snippets, etc. Off page SEO has so much focus on external links; internal links can be often overlooked. 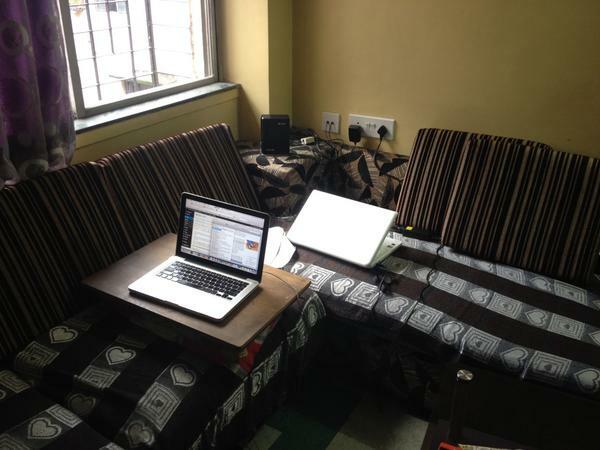 Each of the content that you write or have written on a blog can never be in isolation. There will be content related to the content you are writing. Interlink those articles as and when it will be beneficial to the readers. If your articles aren’t linking to the previous ones, either it is because your blog is new or the niche of the blog is too diversified to find anything to link to earlier good content. Related content plugin for WordPress is also an internal link. There is a very good reason to show related content to users as it may be helpful to them as well as to boost the internal linking structure of the blog. Goes without saying that you should be creating content on your blog that can be useful for others and eventually others will link it. Again, I don’t mean content written only for the sake of gaining links. Purposeful content based on research for the users and readers will gain links over time. Keep an eye on your Google Webmaster Tools and Search Console for backlinks. Get links from your bad sites or low-quality sites removed. It is also part of link building. You should not always wait for Google to let you know if links are low quality. They don’t do any good. If you think some links may not be as good as you would want your links to be, you can take an extra effort before Google reports to get them out. You cannot have a high domain authority on a new domain right away. It will take time, and you need to have patience. Even if you have a great domain that has great links in a short period, it will take time for them to give you a better domain authority. Though I didn’t see a direct reference of social media share count on domain authority, more traffic from social media does mean it effects on the overall authority of the website. Creating more content that resonates well with the readers is always a better way to build a blog. When the content resonates with the readers, it is bound to get the shares on social media. Again, one may argue how can a new blog looking to increase the domain authority can resonate well with the readers when blogger and a few of the family members are the only readers on the blog. The answer is – write the exact reader persona you have in mind when you write blog articles — age, likings, dislikings, job profile, hobbies, etc. Now find someone from your friend who satisfies your reader persona. See if the articles now resonate with him or her. DA has MozRank and MozTrust part of its algorithm. MozRank is Moz’s version of Google’s PageRank where the focuses are mainly on backlinks. MozTrust is the Moz’s version of quality of backlinks or how reliable are the links. Domain Authority is more about building quality links to a blog. It looks like increasing domain authority is all about links (internal, external, inner page links) but it is not only about building them. It is all about building content that can be linked. Just getting links to the blog’s home page will not have a better impact on the domain authority but having a lot of content and generating links to those content will have a much better influence on domain authority. I am a newbie in this blogging world. I want to know whether social significance have any connection with Domain Authority. I mean the Google plus count, facebook like count etc? Didn’t seen any mentioning about that in this page.. The article discusses about the DA as defined by MOZ and not authority of the domain as such. Google has been using signals on user interactions as a ranking factor as well and so yes it could be a factor for ranking but not as of now the DA by MOZ.